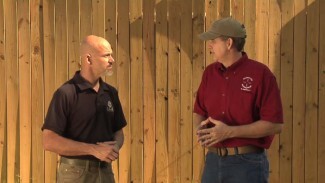 Travis Haley of Haley Strategic Partners analyzes the biomechanics of holster carry positions. How are your hands, arms and the rest of your body affected by placing the holster in the right or wrong place? When drawing a handgun, straight lines are strong and angles are weak. See how small adjustments to your holster carry positions create a smoother draw. This is something apparently I didn’t consciously ‘get’ before. Some holsters are canted forward, some straight up and down. The determining factor should be where it is placed on the belt, not what cant you ‘prefer’. The cant needs to serve the placement. Either 3 oclock for straight holsters, or 4 or 5 for cant forward. The angle of the arm and wrist changes as it moves back along the belt line. The idea is working with the natural swing and reach of the arm in relation to the torso and therefor placement and angle of the holster. Consider the extreme example where the gun might be in a horizontal position in a 6 oclock OWB holster. Excellent video. How about one for people that have to carry in front pocket. Mr. Haley covered his left hand with the muzzle of his gun in that video! How can I respect anyone who would do that? If you are using the 5:00 position (even with the forward can’t), does that area make it more difficult when using the opposite hand to clear or lift any clothing (jacket/sweatshirt) out of the way while drawing? I would imagine that carrying at 3:00 would be more difficult to conceal as it protrudes out of the widest part of the body, although it may be easier to clear any clothing. How would you determine the “lesser of the two evils”? I understand practicing will improve the situation, obviously, but would one be better than the other, or simply personal preference? 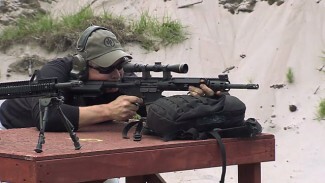 Any opinion will be greatly appreciated, as has many of the PDN videos. Very valuable info, thank you all for that. 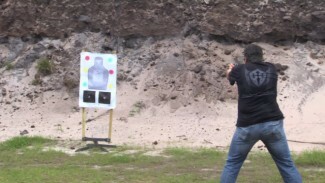 When using the 3 or 5 o’clock positions for concealed carry, clearing the concealing garment should be essentially the same, regardless of 3 or 5 o’clock. The support hand lifts the shirt, jacket, etc. while the fingers of the firing hand start at your front under the lifted shirt, and sweep to your firearm, clearing any material on it’s way. Once the firing hand reaches the grip, execute your draw stroke as normal. The only real difference between 3 and 5 is that the 5 o’clock position requires you to sweep a little further. Yes, certain things do become a matter of personal preference, however follow the advice in this video. It is based on the body’s natural movements and straight lines are strong, well angles are weak as stated. Move your hand down toward your holstered firearm and see how it grips the gun, it should be natural without undue movement of your wrist. I am left handed and worked out where I carry at the 4:30 position with a foreword cant, for me that is the most natural draw. Practice with different positions based on a cant and you will be able to tell what feels natural to you and what doesn’t. 7:30 position not 4:30 as I stated. Like I said, a southpaw here. Excellent video because almost ALL holster manufacturers DO NOT design the right hand holster with an approproate cant. Most have a forward lean and this is 100% wrong. Instead of designing the cant so that your hand can easily grab your gun, their design is wrong in that it forces the user to grab the gun and remove it frontways instead of an easy straightup (Or backward lean which I prefer). 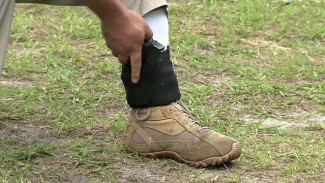 Pleasse send this video to all holster manufacturers – perhaps they will learn how to establish the appropriate cant. THANKS! This is good info and could prevent having a drawer full of holsters that don’t “feel right”. When you get on a forum and ask the dreaded “what holster should I get?” things like this never come up. You’re left trying to decipher or guess what cant, what clips…Well, if the FBI uses it, it should be good right? I’m guilty. Thank you for the video. It makes total sense once you see it. Although it doesn’t fit your narrative, I’ve found the best way for me to carry concealed is with a horizontal shoulder holster. It is the fastest way to draw from a seated position (like seated in a vehicle). I’ve carried concealed for more than 46 years, 31 years as a LEO. During the summer, no problem with just a light cover shirt. On really hot days a sleeveless shirt works for me. I can carry a full size auto w/o any problem keeping it concealed. Obviously, winter carry is a breeze. The only problem is the holster must by of high quality and they don’t come cheap. My Bianchi 16HL has got to be at least 35+ years old and just replaced it with a Gould. Like the Bianchi much better, but I’m not sure if they are still a US made holster. Try drawing from your 3, 4, or 5 position while seated in your vehicle with seat belt on and you will appreciate the problem.